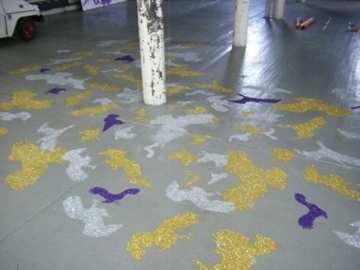 20 pounds of gold, silver, and purple .25 grade glitter. Artwork was purposely destroyed over the course of an evening. Remnants from the stencils used are available as their own artworks.